They are both currently single, having ended their respective relationships late last year. And Ariana Grande was spotted cosying up to her former love Big Sean as they left as recording studio together on Wednesday night in Los Angeles. The two were seen in the front seat of Sean’s car, with Ariana turning her head away from the camera and holding her dog to her face. Despite her obvious hope not to be seen, it appeared both she and her ex were smiling as they dodged the cameras in the images published by TMZ. Ariana and Big Sean dated for a year, splitting in April 2015. At the time of their split she was said to be ‘humiliated’ by his track Stay Down from his album, Dark Sky Paradise. In it he rapped about having a ‘million-dollar chick with a billion-dollar p***y’, and Ariana’s beloved grandmother was said to have asked her to explain the lyrics. 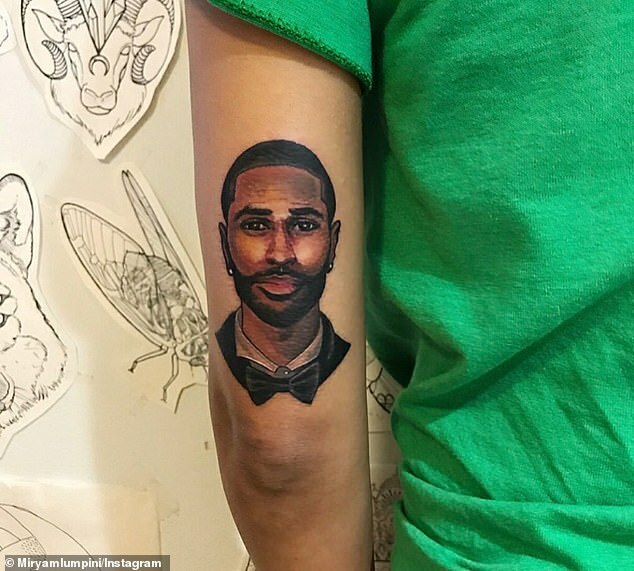 Sean was most recently linked to Jhené Aiko, who was so devoted she had his face inked on her arm. Their three-year relationship ended in November. Meanwhile Ariana, 25, has had a number of relationships since Sean, with the most recent being her aborted whirlwind engagement to Saturday Night Live star Pete Davidson. The two split in October, after five intense months together, during which they got a number of matching tattoos. The accompanying music video showed her reading a Mean Girls style burn book, in which she can be seen looking at photos from her year with the 30-year-old. However if the two are feeling romantically inclined, the timing could be better. Ariana has a huge year planned, and is counting the hours until she embarks on her Sweetener Tour, which will keep her on the move until July 13, with a brief break to headline Coachella in April. It’s also been widely reported that the Dangerous Woman signer is being lined up to headline Lollapalooza Festival in August. Then there is also the fact that Ariana has pledged to stay single throughout 2019 and ‘probably my life’.